Choir! sings Joy Division - Love Will Tear Us Apart by Choir! Choir! Choir! C!C!C! sings Pink Floyd - Comfortably Numb by Choir! Choir! Choir! Choir! Choir! Choir! sings REM - Losing My Religion by Choir! Choir! Choir! Choir! Choir! Choir! sings Mr. Mister - Broken Wings by Choir! Choir! Choir! Choir! Choir! Choir! sings David Bowie - Space Oddity by Choir! Choir! Choir! Choir! Choir! Choir! sings Justin Bieber "Sorry" by Choir! Choir! Choir! Choir! Choir! Choir! 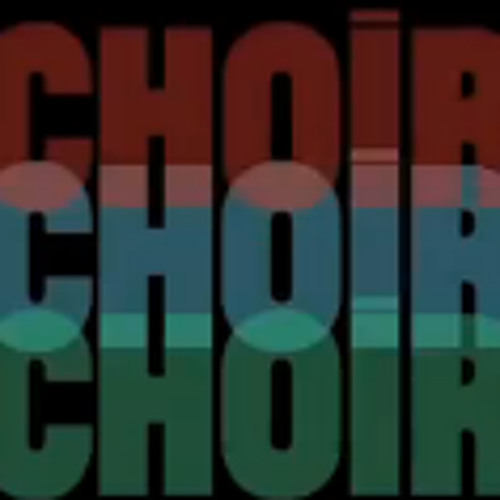 - Simon & Garfunkel "America" by Choir! Choir! Choir! Choir! Choir! Choir! sings Foo Fighters - Everlong by Choir! Choir! Choir! Choir! Choir! Choir! sings Red Hot Chili Peppers - Under The Bridge by Choir! Choir! Choir! Choir! Choir! Choir! sings Pearl Jam - Better Man by Choir! Choir! Choir!